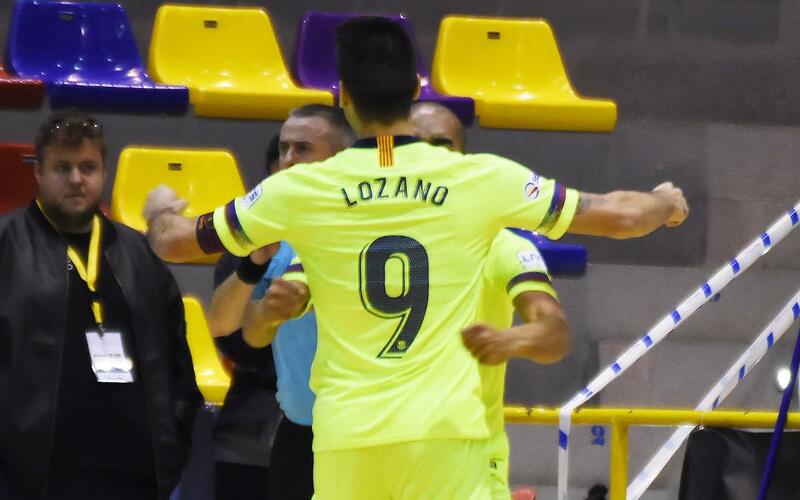 The Barça Lassa futsal team bounced back from late defeat at Industrias Santa Coloma by winning 5-1 at Antequera. A brace from Sergio Lozano early on in the game was followed by further goals from Leo Santana, Aicardo and Dyego in the second half to clinch a game that they never looked like losing. Not even when Juanra pulled one back for the home side on 12 minutes did this game seem to be getting out of hand and the way it happened will be a huge boost for the confidence of coach Andreu Plaza and his team. Antequera: Cone, Víctor Arévalo, Miguel, Óscar, Miguel Fernández, Juanra, Crispi, Nano, Dani Ramos, Luis García, Nando Torres. Barça: Dídac, Aicardo, Dyego, Esquerdinha, Adolfo, Léo Santana, Boyis, Roger, Sergio Lozano, Arthur, Joselito. Goals: 0-1, Sergio Lozano (min 6). 0-2, Sergio Lozano (min 8). 1-2, Juanra (min 12). 1-3, Léo Santana (min 25). 1-4, Aicardo (min 33). 1-5, Dyego (min 35).